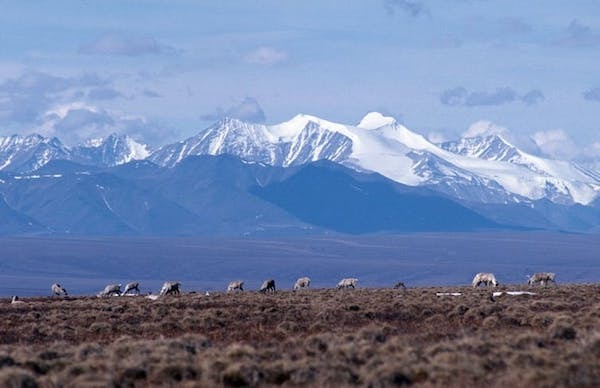 After decades of bitter struggle, the Arctic National Wildlife Refuge (ANWR) seems on the verge of being opened to the oil industry. The consensus tax bill Republicans are trying to pass retains this measure, which was added to gain the key vote of Alaska Sen. Lisa Murkowski (R). Made public, these results ignited major opposition from environmental groups. However, low oil prices meant that no companies would be interested in drilling so no action toward leasing was taken. Over the next 20 years, Congress and presidents traded blows over drilling, with Republicans passing or proposing legislation in favor and Democrats voting down or vetoing the relevant bills. 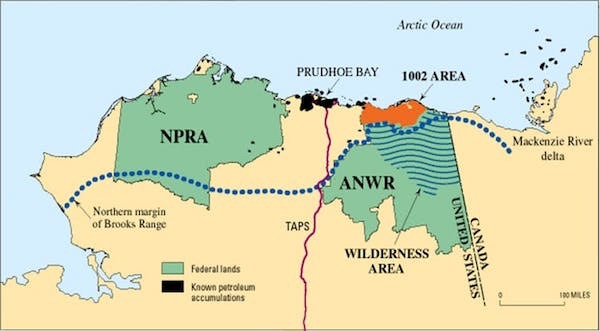 The most recent comprehensive assessment of oil and gas in the 1002 Area was by the U.S. Geological Survey (USGS) in 1998. This work shows a mean estimate of 10.4 billion barrels of oil and 35 trillion cubic feet of natural gas, which at today’s prices ($57/bbl oil, $3/kcf) equals a total value of about $600 billion before drilling. If this is any indication, another multiyear period of high oil prices—in a range, say, over $80 per barrel—needs to arrive before 1002 looks attractive. Leasing and drilling in an area with extreme weather, little detailed data on the subsurface geology, no discoveries or production, and no existing infrastructure is considered high risk, all the more so in an uncertain price environment like today’s. A reasonable and well researched piece compared to most stuff published by "In these Times." However, it's a "done deal." Since it was written, the new Tax law allows drilling in ANWAR. If, as the author suggests, the oil companies are not willing to produce oil there due to the cost, than so be it. that's called freedom of choice.